Richard Irwin (Belper, United Kingdom) on 25 February 2009 in Plant & Nature. 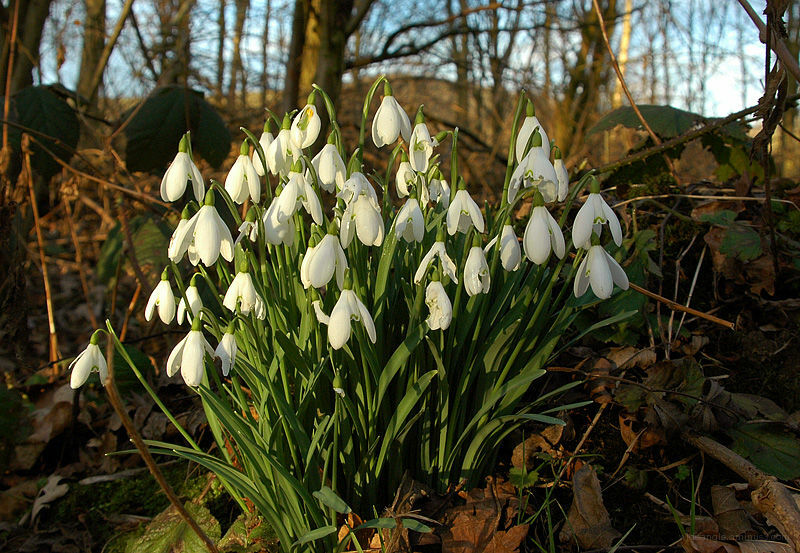 There are snowdrops flowering all round the woods now, these were photographed at a lake called Carsington Water. those are such lovely colors. They are so delicate and beautiful. I can't wait for spring! A lovely sight and a sure sign that spring is just around the corner !! lovely light on those snow drops! spring is around the corner now! Richard, this is beyond perfect, they are so lovely, lovely snowdrops, merci beaucoup! Really beautiful Richard, Love the light and the way they are clustered together. @MaryB: Thanks Mary. It is a great place to visit, lots of rare water birds, a fantastic walk (but a very long one if you go all the way round), and some very pretty views. I hope you get a chance to visit it. Beautiful! A promise of things to come. I have seen the odd clump in London this week and crocus are appearing . . all good signs ! I do love the light you've got here, Richard!! So very lovely. Those are beautiful. Love the light. Great deep rich colours contrasted by such green and white. It must be a welcoming sight. beautiful, and really interesting light. Is that what these are? I've been seeing them come up here as well...wonderfully captured! Looks like the sun shone directly on it, even though all around it is in shadow. Very nice. Lovely florals. Looks like a nice lens.